Some of the features of the mobile website is a large button to “Call Us” (your customer already has their phone in their hand! ), and another button to “Find Us” (most phones have a map and GPS to guide them right to your store!). Everything on your mobile website will be designed to be “thumb-friendly” so your visitor can scroll through and find the info they need without wanting to go elsewhere. According to Google’s research, mobile sites produce an average 75% higher rate of engagement (revenue, page views, etc.) per visit for mobile users. That means that users on mobile-friendly sites take action. 1 in 5 website visits lead to an immediate call to the business. Don’t let them go to your competitors site! All websites built by Blarneystone are not only built to be useful on smartphones, but are “responsive” to a variety of web devices such as extra-wide screens, desktops, tablets, and an assortment of phones. To find out if your website is mobile-friendly, go to Google’s test site at https://search.google.com/test/mobile-friendly If your website is not responsive, you are not only disappointing your visitors, but getting downgraded by Google and other search engines. Once your website is responsive, switching from desktop to mobile site is automatic and seamless. Your visitor’s browser detects a mobile device and maximizes their viewing experience. 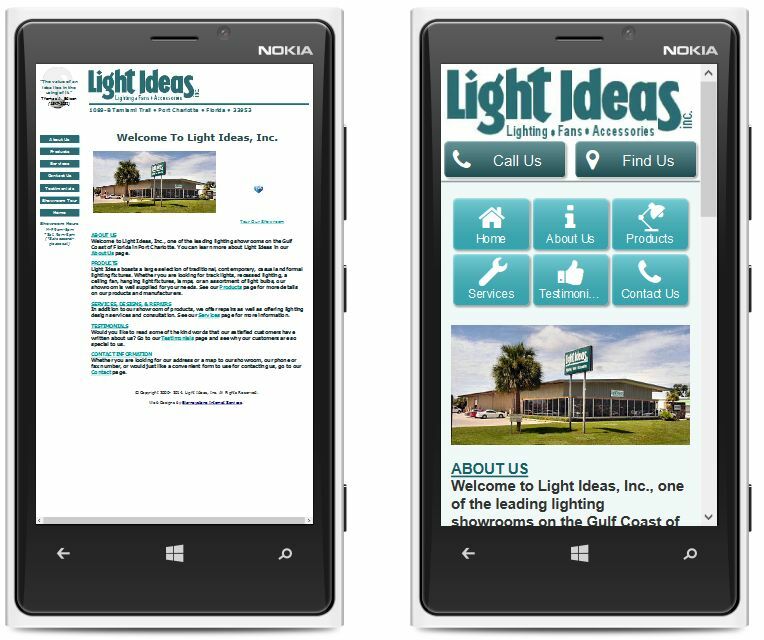 Now there’s no excuse for making your visitors squint to see your website on a smart phone! Contact us today with any questions or to update your website to be a web-friendly one.